1) Murcie – Écartelé au 1 d’or à l’aigle de sable au 2 d’argent à un senestrochère armé d’argent la main de carnation empoignant une branche sinople au 3 de gueules à deux têtes de Sarrasin contournées au naturel coiffées de turbans d’argent l’une sur l’autre au 4 d’argent à un arbre de sinople issant d’une eau d’azur. 2) Espagne – De gueules à une herse sarrasine d’or acc de deux tours sommées de trois tourelles du même 1 en chef et 1 en pointe celle en pointe accostée de deux branches de sinople. 3) Ramos del Manzano – Murcie – Les armes précédentes à la différence que l’arbre du 4e est soutenu d’une champagne fascée-ondée d’argent et d’azur et que les têtes de Sarrasin du 3e sont tournées à dextre. 4) Los de Aragón, traen: En campo de oro, una carrasca de sinople, y saliendo del flanco diestro del escudo, un brazo vestido de gules, que con la mano, de carnación, pretende desgarrar un ramo de la carrasca. 5) Otros Ramos, traen: En campo de oro, un águila, de sable, cargada de un escudete de plata, fajado de azur. 6) Radicado en Galicia, Asturias y Andalucía: En campo de oro, doce tortillos, de azur puestos en cuatro palos de a tres; bordura de plata, con ocho ramos, de sinople. 7) Los Ramos de Murcia, traen: Escudo cuartelado: 1º, de oro, un águila, de sable; 2º, de plata, un brazo armado, con un ramo, de sinople, en la mano; 3º, de gules, dos cabezas de moro, y 4º, de plata, un pino, de sinople, sobre ondas de agua de azur y plata. 8) Otros Ramos de Aragón, traen: En campo de plata, una cruz floreteada, de sinople. 9) Radicado en Ponferrada (León), y extendido a Galicia y Asturias traen: En campo de sinople, tres osos andantes, puestos en palo, de sable. 10) Otros Ramos, traen: Sobre ondas de azur y plata, un crequier, de sinople. 11) Originario de Brihuega (Guadalajara): En campo de oro, tres ramos, de sinople; bordura de gules, con cinco veneras, de plata. 12) Originario de Teruel, y radicado en Armillas, Estercuel y Zaragoza: En campo de plata, un ramo, de sinople, puesto en abismo; bordura de oro, con ocho roeles, de azur. 13) Originario de Dueñas (Palencia), radicado en Valladolid: En campo de oro, tres bandas, de gules; bordura de oro, con cuatro ramos, de sinople. 14) Vecino de Villasandino: En campo de plata, un ciprés, de sinople, nurido y adiestrado de una torre, de gules. 15) Radicado en Córdoba: En campo de sinople, dos sacos, de oro, puestos en faja. 16) Radicado en Santiago de Chile: En campo de plata, dos árboles, de sinople, arrancados y frutados de gules, puestos en faja. 17) Radicado en Oviedo: En campo de gules, tres hoces, de oro, encabadas de sable, puestas una y dos. The Spanish and/or Portuguese last name Ramos has at least six different origin theories and meaning. First, it may have been a nickname deriving from Ram, Ramme, or Ramm that denoted a lusty man. Second, it may have been an occupational name for a shepherd (an important job in medieval Europe). Third, it may have been a name given to someone who lived in or operated an inn with the sign of the Ram. Fourth, it have originated as a topographic name for a person who lived in or near a raim, i.e. a thickly wooded area, deriving from the plural version of the Spanish word ramo (from the Latin ramus), meaning branch. Fifth, similar to the aforemention theory, it may have religious origins, wherein the branch refers to Palm Sunday, a venerated holiday/feast in the Catholic church that celebrates Christ’ arrival into Jerusalem. Sixth, it may be a topographic name given to a person who lived near a ram, which was an old Scandinavian word meaning a boundary post, a name word used by the Vikings throughout northern Europe. One author claims the family was first found in Castile, a region in north central Spain on the Iberian Peninsula of Europe. I have not been able to identify what the Ramos family motto is, which is unusual for a Hispanic or Latin surname of such popularity in Europe and the Americas. Some of the earliest bearers of this surname include Hendricus Ram was recorded in the register of the abbey of Bury St. Edmunds, England in 1188 AD, Geoffrey Ram in Essex in England in 1274 AD, Konrad Rame in Eblingen, Germany in 1350 AD, Claus Ram in Eblingen, Germant in 1377 AD, and Juan Ramos of Nuestra Senora la Antigua Valladolid, Spain in 1535. Some spelling variants or names with similar etymologies include Ramis, Ramas, Ramo, Rama, Ramon, Ramoso, Rammos, Ramose, Rmoos, Raymos, Ramosi, Ramous, and Raamos. The last name Ramos ranks 112th in popularity in the United Status as of the 2000 Census. The name ranks particularly high in the following seven states: Hawaii, California, New Jersey, New York, Texas, Nevada, and Rhode Island. The name is the 25th most common name in Spain and the 40th in Portugal. The surname Ramos frequency/commonness ranks as follows throughout Central and South America: Brazil (35th), Mexico (30th), Peru (14th), Paraguay (125th), Panama (36th), Nicaragua (62nd), Colombia (77th), Venezuela (44th), Cuba (23rd), Argentina (45th), Guatemala (53rd), Honduras (27th), Puerto Rico (17th), Chile (122nd), Ecuador (90th), El Salvador (38th), Uruguay (39th), and Costa Rica (176th). 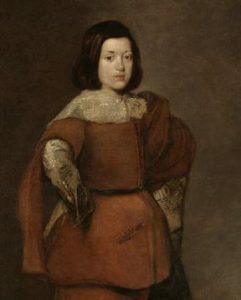 Hernando Ramos was born in Boca de Huérgano, Reinos de Castilla in 1580. 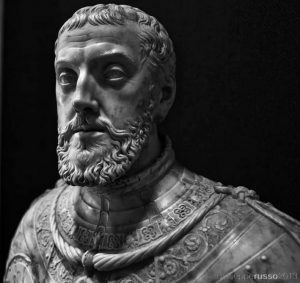 He married Inés de Busto y Díez de Noriega and had a daughter with her named Beatriz Ramos de Busto who was born in 1617 in Guanajuato, Mexico. Valentine Ramos was born in Mexico in 1790. He married Pia Estrada and fathered two children with her: Lucas Ramos and Maria Nestora Alvina Ramos. There are hundreds of notable people with the Ramos surname. This page will mention a handful. 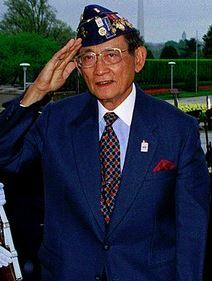 Famous people with this last name include: 1) Brigadier General Antonio J. Ramos (1946) who was the first Hispanic to serve as a commander(of the Air Force Security Assistance Center), as well as serving in Vietnam and later holding numerous positions, 2) Dan Ramos (1981) who is a member of the Ohio House of Representatives elected in 2011, 3) Fidel Valdez Ramos (1928) who was the 12th President of Philippines who was a retired Army General, 4) Jorge Gilberto Ramos Avalos (1958) was a Mexican-American journalist and author who was born in Mexico City, dubbed “The Walter Cronkite of Latin America”, 5) Pedro Ramos Guerra (1935) who is a retired pitcher in Major League Baseball whose career spanned 15 years from 1955-1970 who played for seven different teams and was born in Pinar del Rio, Cuba, 6) Jose Antonio Ramos Sucre (1890-1930) who was a Venezuelan professor, scholar, diplomat, and poet who was born in Cumana, Venezuelan, 7) Ruy Ramos (1957) who is a former Brazilian soccer player who spent most of his career playing in Japan, including five years (1990-1995) on their national team, 8) Rhian Denise Ramos Howell who is a Filipino model, actress, and singer born in Makati City, Metro Manila, and 9) Nathalia Norah Ramos Cohen (1992) who is a Spanish-Australian actress born in Madrid who is known for her roles in movies such as Bratz and The Damned. The heraldic symbols depicted within the Ramos Coat of Arms (erroneously called the Ramos Family Crest) are varied, but we will discuss the meaning and significance of two here: the eagle and tree. Where the lion is undisputed king of the animals, the eagle undoubtedly plays the same role in the realm of the birds, its use in this form dating back to at least the Roman period. They tend to be illustrated in quite some detail, especially in continental European arms, and have almost as wide variety of postures and accessories as the lion, well illustrated in the reference as well as being just the eagle’s head or eagle’s leg. The symbology of the eagle is deep and complex, Wade devotes several pages to the subject, but suffice it say that it has long been associated with Empire and those held in high honour – any armiger would be pleased to have any form of Eagle upon their arms! Amongst the natural objects depicted on a coat of arms, trees feature frequently, either in whole or as individual branches and leaves. Sometimes the species or the part of tree was chosen as an allusion to the name of the bearer, as in Argent three tree stumps (also known as stocks) sable” for Blackstock. Trees of course had long been venerated and its use in a coat of arms may have represented some association with the god Thor.